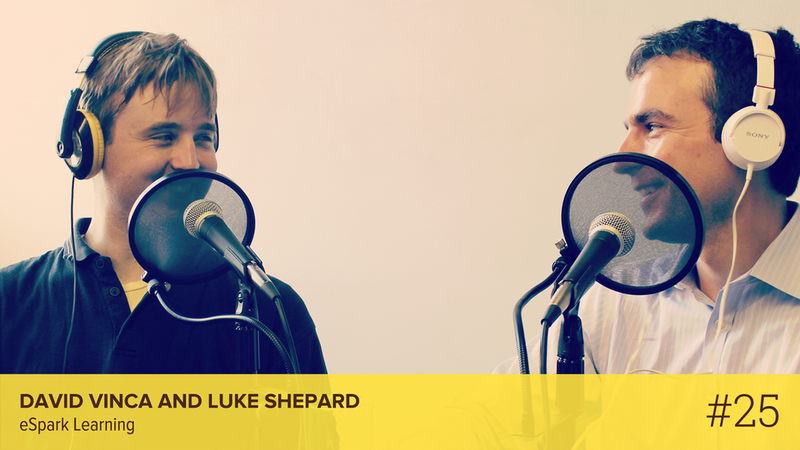 This week's feature interview is with David Vinca, CEO and Founder, and Luke Shepard, CTO, of eSpark Learning. eSpark Learning is harnessing the power of educational 3rd party apps to build a platform for customized learning experiences in the classroom. David puts the "minimum" in Minimum Viable Product, explaining how he first tested his idea using a paper version of his app and graduated to Powerpoint and finally what is today, eSpark Learning. Along side him in this interview is Luke Shepard, a past Facebook Developer, and an iterative machine (they push every single frickin' day).